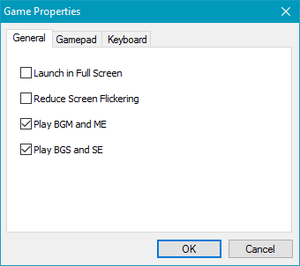 The game settings can be accessed by pressing F1 as usual with other RPG Maker games. Only resolution option is 544x416. 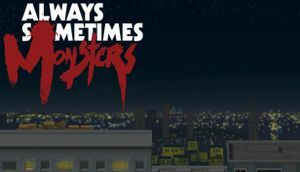 OS X and Linux lack Steam integration and have frequent crashes. Game properties accessed with F1. 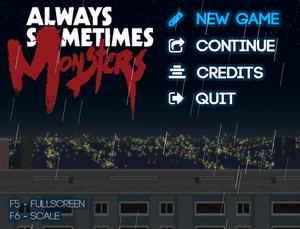 Games main menu telling keys to change fullscreen and scaling. Use either Alt+↵ Enter or F5 to switch and F6 to scale. 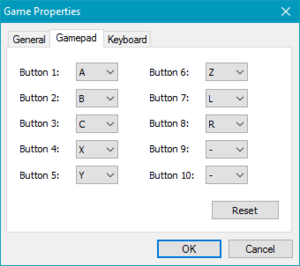 Controller key rebinding in game properties. 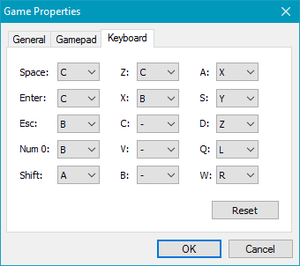 Keyboard key rebinding in game properties. Only specific keys and they have to be bound to imaginary controller. Accessing options and switching to fullscreen requires keyboard. Controller keys are bound to imaginary controller. ↑ Verified by User:Marioysikax on June 28, 2016 With 120 FPS recording.